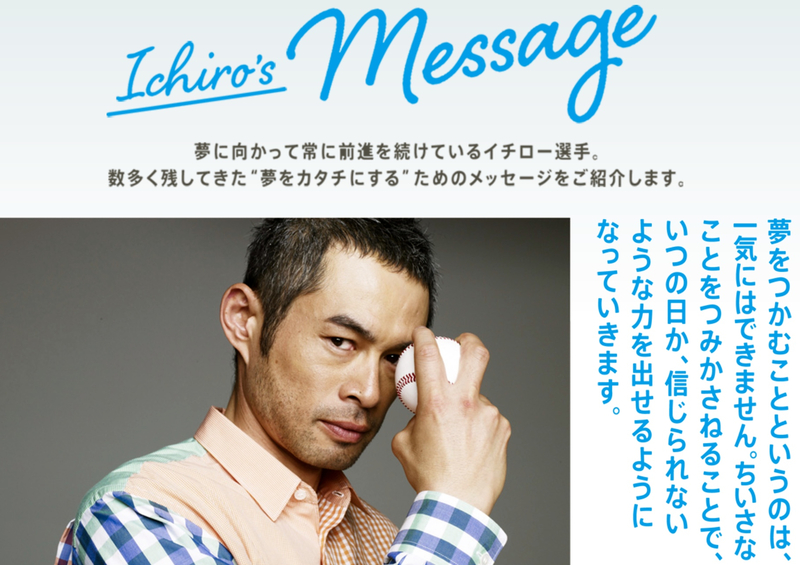 And Now, a Message from Ichiro | Super Ichiro Crazy! This entry was posted in Endorsements and tagged Ichiro. Bookmark the permalink. I’m Steve Mandich. I was born in Seattle, I live in Seattle, and the Seattle Mariners are my all-time favorite baseball team. And, ever since his 2001 Major League debut with the Mariners, Ichiro Suzuki has been my all-time favorite baseball player (even after his 2012 trade to the Yankees). This blog has tracked Ichiro’s game-by-game progress since 2011, along with plenty of fun sidelights... Disclaimer: this blog is a labor of love, and is not affiliated with Ichiro Suzuki, the New York Yankees, or Major League Baseball... As of the 2013 season, all times listed are local New York time.